Bruno Coelho is the 4WD Top Qualifier at the fourth round of the Euro Offroad Series. 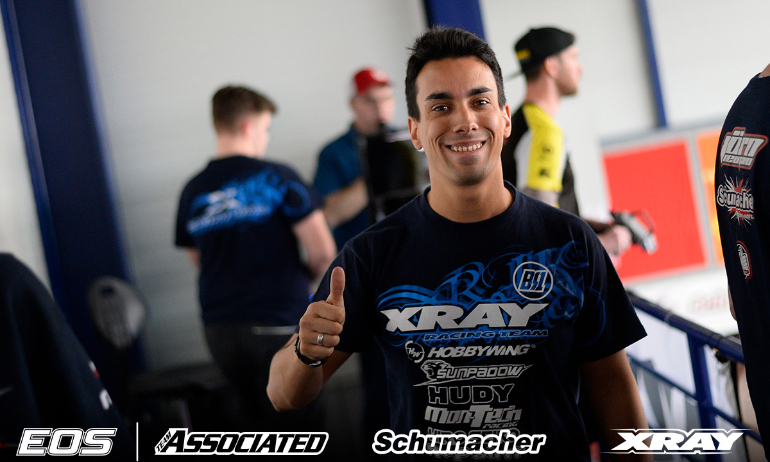 The Portuguese driver secured a home pole position for Xray when he topped the final round of qualifying in Slovakia from team-mate Daniel Kobbevik and Lee Martin. Having not had the best of starts to qualifying with the first two rounds going to Michal Orlowski, Coelho admitted himself that Q4 had gone better than expected as his time gave him the tie break over Orlowski who will start P2. Behind the duo, whose pace is one level above the rest of the field here at Hudy Arena, last year’s Top Qualifier Martin Bayer will start third ahead of Kobbevik, Martin and Joern Neumann. The post Coelho Top Qualifier at EOS Slovakia appeared first on Red RC - RC Car News.